Possibly the highest in demand ad inventory available within the mobile cash iGaming vertical. Our mobile and online ad placements are totally exclusive and represent the very best any specialist network has to offer. 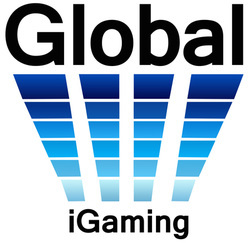 The GlobaliGaming ad network experience boasts a unique combination of on, and off site Social Marketing integration, SEO, editorial content, and a best in class mix of offers for our fast growing cash iGaming audience. As you can see on sites like these, our banner promos are serious stuff! Consistent investment in third party supporting ad campaigns continues to drive high quality depositing traffic and cement our ongoing success in player acquisition. Our niche focused mobile and online iGaming advertising units have proven to generate extremely large returns for our advertisers within very short periods of time. This is not a flimsy claim, but rather a fact played out by over five years of ultra intensive organic investment, market research, development and implementation by our in-house teams of Developers, Engineers, Writers, and Commercial managers. Our world renowned pure mobile cash iGaming sites now promise you the advertiser, the most targeted ad network of its type anywhere on the mobile internet. We welcome your feedback and custom, as you read our introduction, rest assured we are today locating new high value players for businesses just like yours. Our operation is among the highest grossing and most successful to be seen in the mobile cash games advertising industry. In the final analysis, our mission, our vision to attain mastery over everything we do, ensures that we are always focused on allowing our clients and partners view results from the grandstand. Managed Ad Solution - please be patient while PayPal cart loads offer. Similar to impressions, a raw/gross click is counted every time a visitor clicks on your ad. It includes duplications and repeated clicks. On the other hand, only one unique click is counted per 24-hour period per ad, even when the visitor clicks on the same ad multiple times. After 24 hours, if this visitor clicks on this ad again, a new unique click is counted. The reports for unique clicks/IPs show the activities of your visitors. A browser's cookie is used to distinguish between a unique and gross click. When the cookie is removed/deleted or disabled, a unique click is the same as a gross/raw click. What are your protections against click fraud? Our ad server employs many techniques to prevent false and invalid clicks to ensure accurate reporting. Some of them are listed in this article while some are confidential to prevent violators from creating a trick/hack to bypass these measures. The same techniques are also used to ensure impressions are recorded accurately. Click Authentication Each click is checked against a unique token to ensure it is from a valid source. Any click without a valid token will not be recorded. Click Monitoring Our click monitoring system checks all incoming clicks and uses sophisticated algorithms to detect patterns. Confirmed invalid clicks from these sources are automatically blocked. Possible invalid clicks are reported to our engineers for advanced analysis and investigation. Ad Restrictions You can apply different ad restrictions and targeting to protect against fraudulent activities. The same restrictions that allow or prevent visitors from viewing ads will also apply to clicks. For example: If a click is restricted (eg: "Do not show the ad to visitors in China") and a visitor from China tries to click that ad, they will see an error message (eg: "This ad is restricted and no click was recorded") instead of getting redirected to the advertiser's website. Blocking or Excluding IP Addresses You can block or exclude specific IP addresses, or IP ranges from viewing and clicking on your ads. There are two ways: it can be applied as a restriction onto the ad, group, zone or campaign. Or it can be an account-wide policy, you can edit the block/exclusion list in your account profile. Frequent Click IP's: lists all IP's with multiple clicks to your ads. You can access this reports from menu Reports / Advanced. For certain regions, your visitors could come from a few IP addresses, which are the central proxy servers for that Internet provider. For other cases, your ads are targeted by a third party using sophisticated, automated tools or manual effort, with the purpose to inflate clicks. Please check if you recognize these IP's. If they are not respectable or known ISP's proxies and not your office's IP's, you should block them from generating more clicks. Unique/Gross Click: reveals the number of duplicated clicks. You can access this reports from menu Reports / Basics. A low Unique/Gross percentage means a high number of repeated clicks, which could mean the clicks were artificially inflated by automated tools. Detailed Clicks: displays a limited number of detailed click records. It shows more information about the visitors who clicked on the ad. You can access this reports from menu Reports / Visitors / Detailed Clicks.